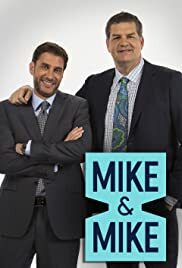 Mike Golic and Mike Greenberg debate sports. Wake up every weekday to football news, rumors and discussion on this new NFL Network show. Rachel Nichols hosts this daily NBA discussion featuring the latest news and stories. Interviews with NBA analysts and current players will take place as well. Skip Bayless and Shannon Sharpe debate the biggest sports stories every morning at 10 AM. This is quiet enjoyable it is the best thing ESPN has and it is a quiet good tandem, for anyone that does not like it your opinion but I strongly disagree their opinions are honest and the show has grown very popular as is seen after Mike and Mike got to cover the Monday Night Doubleheader if you saw their Sports Center special that was awesome and the great part is you always agree with one of them and always disagree with one of them, sometimes they may agree but the way one says makes sense the way the other one says it makes more sense, although I like Golic more. This is a great show and every sports fan that needs their daily cup of sports should watch.